The Organized Crime and Corruption Reporting Project (OCCRP) and its Romanian partner, the RISE Project, investigated his death and found that Comana’s life was complicated. He was tangled in a web of murky businesses with a powerful group of Romanian politicians and businessmen who spent their holidays at Cumbuco, an oceanside resort in the northeast of Brazil. The most prominent of the Cumbuco group is Liviu Dragnea, 54, the president of Romania’s ruling Social Democratic Party and one of the country’s most powerful politicians. Comana and Dragnea go way back. It was Comana who put the first million in Dragnea’s pocket. The lives of the politician and the millionaire were intertwined as they rose together to wealth and power. Over the years, the friends and their business activities shuttled between Romania and Brazil, with money from the Eastern European nation apparently funding an increasingly lavish lifestyle in the beautiful coastal resort. The last trip of Comana’s life started in Cumbuco. The small fishing village of 1,600 people on the South Atlantic coast is blessed with beautiful wide beaches and renowned sand dunes. The real draw, however, are the constant southeasterly trade winds and mild weather which makes it ideal for kitesurfing and windsurfing. 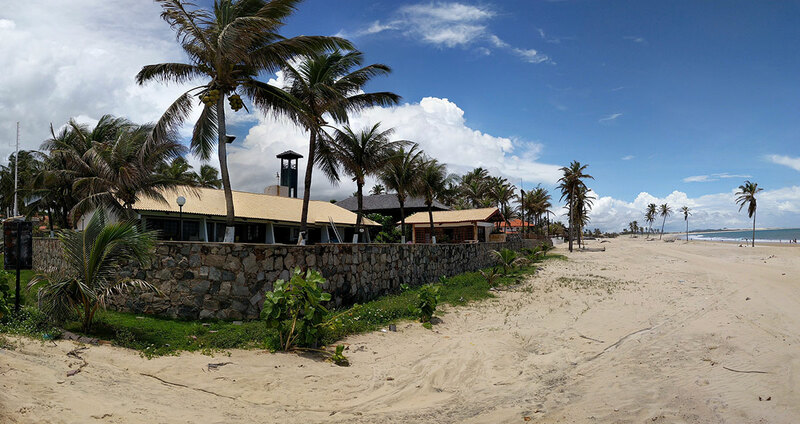 Since 2014, Comana had been trying to start a new life in Cumbuco, the seaside resort he had vacationed in for many years. He was trying to get away from the dark clouds that were gathering over him in his native country. In fact, one week before he killed himself, Comana learned that directors of Regiotrans, his railway company in Romania, had been arrested for bribing executives at the state-owned national railway company, CFR, and officials at the Ministry of Transportation. Prosecutors also planned to indict Comana but he wasn’t in the country so they just said the indictment included some unnamed persons. According to prosecutors, Regiotrans was paying off CFR and government officials so Comana’s company could take over railway routes from the state-owned company and illegally cash in more than $345 million in state subsidies. Regiotrans took over routes which had little passenger traffic. The company claimed it was fulfilling a social need by helping remote communities and got state subsidies based on the distance the trains traveled. They then increased the number of trains on the routes to earn more money despite no passenger demand. Documents examined by OCCRP show that Dragnea, the powerful Romanian politician and Comana’s old friend, played an important role in advancing Regiotrans’ business. 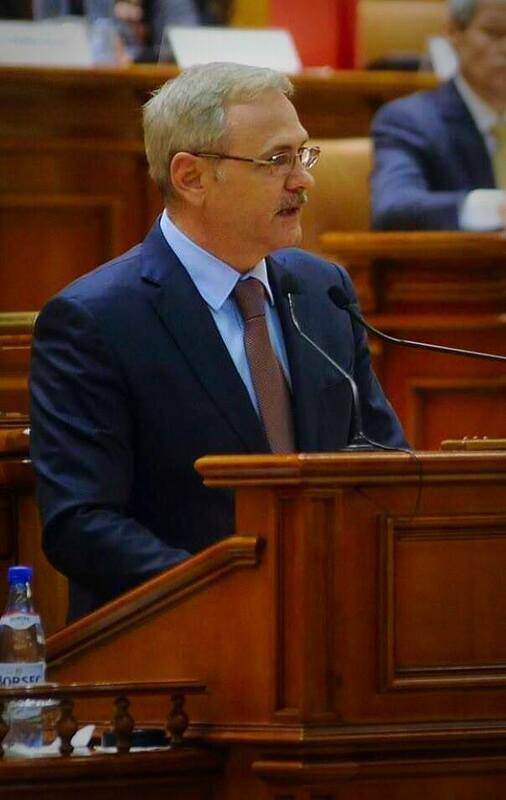 In 2008, Dragnea was the president of the Teleorman county council, the highest political position at the county level in Romania. Dragnea signed a document granting private companies such as Regiotrans access to the region’s railways. The deal was lucrative for Regiotrans. During the same period of time, between 2007 and 2009, Comana bought six separate properties from Dragnea, paying the politician over $1.2 million cash in total. Comana paid many times more than the price Dragnea had paid for the properties. One of the properties was seized by the state. Prosecutors said Comana paid for the properties with money earned illegally and have sought to seize all six, but four have already been sold by Comana’s daughter. One still belongs to her. Dragnea told reporters he used part of the money to build a house in Alexandria, the capital city of Teleorman county. But Comana and Dragnea were not just business partners. Their friendship goes way back to their college days, in the mid-1980s, when they lived in the same student dorm on the campus of the Polytechnics University in the Romanian capital of Bucharest. In an echo of those earlier times, Comana would spend part of the last year of his life sharing a luxurious oceanside villa in Cumbuco with his college buddy, when Dragnea vacationed in the coastal town. The villa, nicknamed “Casa Grande” by locals, is framed by tall palm trees on 3,280 square meters of land on the Atlantic shore, with a swimming pool and a tennis court. Property records obtained by OCCRP show that the land is registered to a company that belongs to another old pal of Dragnea’s, Mugurel Gheorghiaș. In contrast, Gheorghiaș lives in an apartment in a modest Communist-era block of flats in a small Romanian town. Dragnea and Gheorghiaș also met in college in Bucharest. They played together in a rock band called Ego. Dragnea was the drummer while Gheorghiaș, nicknamed “Melcu,” (The Snail) played guitar. 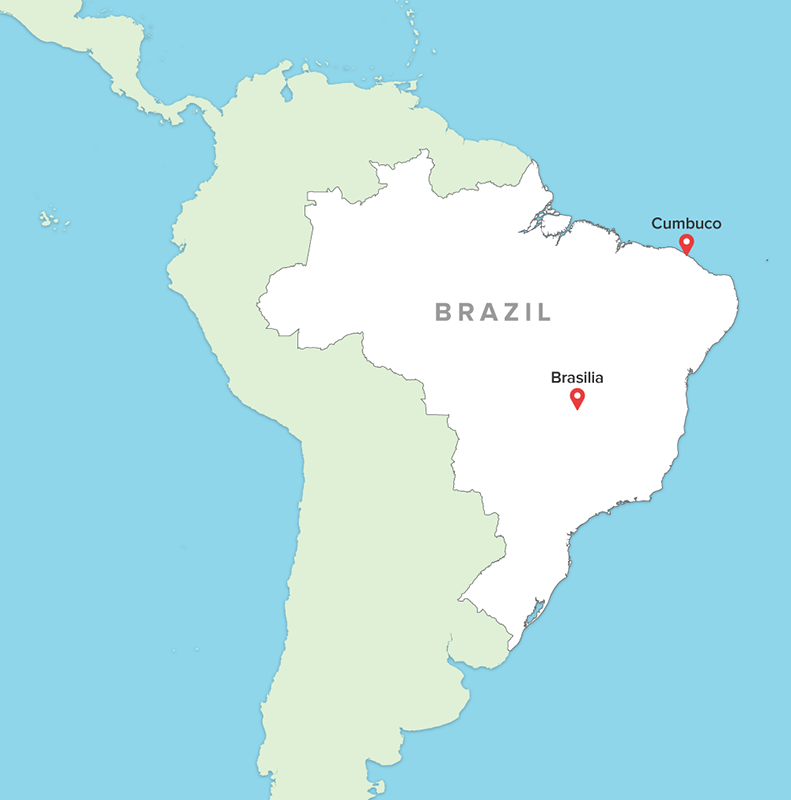 In 2010, Gheorghiaș established a local company in Brazil, M&J Investimentos Turísticos LTDA, in order to purchase the property in Cumbuco for about $730,000. Much of the business conducted by Gheorghiaș seemed to be structured in a way that made his friend Dragnea the end beneficiary. He established the company with a Brazilian partner, Cauby Cursinio Campos Junior, 37, who got one percent of the firm. Campos would also play an important role in Comana’s businesses four years later when he was picked by Comana to be a minority shareholder in two Brazilian companies he formed in 2014: Regiotrans Fabricacao de Locomotivas and Robra Ltda. The first bears the same name as the Romanian private railway company that brought Comana both his wealth and his troubles. The second was used by the billionaire, just two weeks before his suicide, to purchase a seaside luxury condominium in February 2015 in Cumbuco for about $215,000, not far from Casa Grande. Back in Romania, Dragnea is the president of the ruling Social Democratic party (PSD) which won the latest elections using a populist platform resembling that of Viktor Orban, the prime minister of Hungary, Romania’s neighbor to the west. His first political act, in early 2017, was an attempt to get his political ally, Prime Minister Sorin Grindeanu, to mass-pardon a slew of corrupt politicians. The move brought hundreds of thousands of protesters into the streets, as the pardon would have benefitted, among others, Dragnea himself. Last year, he was convicted for illegally influencing the vote during a 2012 referendum to impeach the president and sentenced to two years; the sentence was suspended. He is awaiting a second verdict in a separate case in which he is accused of abusing his political power to materially benefit his political party. If convicted in this case, too, it is very likely that he will end up in jail. The protests put a halt, at least for now, to the controversial pardon attempt. The local group of Romanian cronies is well known to locals in Cumbuco, Brazil. An OCCRP reporter was greeted with “Bună dimineața!”, the Romanian phrase for “good morning,” when he told locals he was from the Eastern European country. They talked easily about Dragnea, who they mistook for the prime minister of Romania, and about Comana, their beloved neighbor who killed himself. They mentioned all the tennis gear the Romanians would bring each time they came to Cumbuco, and how much they loved the sport. Satellite imagery indicates that the Romanians built the tennis court in 2011. Another set of satellite images from the same period shows that, back in Romania, avid tennis player Dragnea added a similar professional tennis court to his property in Teleorman county. Teleorman is one of the poorest counties in one of the poorest countries in the European Union. The average income in the county is not quite $380 (1628 lei) per month. This is where Dragnea built his political career and where he became rich with the help of friends such as Comana and Gheorghiaș. 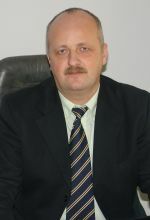 One of his earliest deals took place when Dragnea was the president of the county and privatized the local road maintenance company, Tel Drum SA. This firm was owned by the local council, headed by Dragnea, but the council sold it, under Dragnea’s signature, to a former high-school classmate, Marian Fișcuci, at a price far below the company’s value, in 2001. Prior to the privatization, the state-owned company rarely received any local government contracts. The local council decided to privatize it because of its poor performance. However, in 2001, the newly privatized company started receiving a huge flow of public money. Tel Drum was awarded almost half a billion dollars in state contracts over the past 10 years. A number of these contracts were awarded by the country Dragnea headed. In 2004, the company’s ownership was changed to bearer shares, a notoriously opaque ownership structure in which the owners are literally whoever has physical custody of the share certificates. In 2006, Fișcuci sold the majority of the Tel Drum shares to two former University colleagues and rock band buddies: Gheorghiaș who received 44 percent, and Liviu Lucian Dobrescu, aka “The Rat,” who got 44 percent. Dobrescu played guitar in the Ego rock band. Since 2009, the Tel Drum bearer shares have not been publicly assigned to anyone. The last mention of Gheorghiaș and Dobrescu as the owners of the bearer shares was made in the company’s paperwork in 2008. Romania is one of the very few countries in the world that still allows bearer shares, which can be used to completely hide ownership. In reality, Dragnea’s family was directly benefitting from Tel Drum’s wealth. Reporters for OCCRP found out that, for example, between 2011 and 2013, Tel Drum paid more than $80,000 for tuning up a Golf 6 that is driven by Dragnea’s son, Ștefan Valentin. This Golf 6 may be the most powerful car of its kind in the world, with a 776-horsepower engine, more powerful than the engine in a small airplane and as muscular as that in a Lamborghini Aventador. Between 2007 and 2014, Tel Drum also paid more than $660,000 in accommodation fees to the Turris Hotel owned by the Dragnea family in Teleorman county. 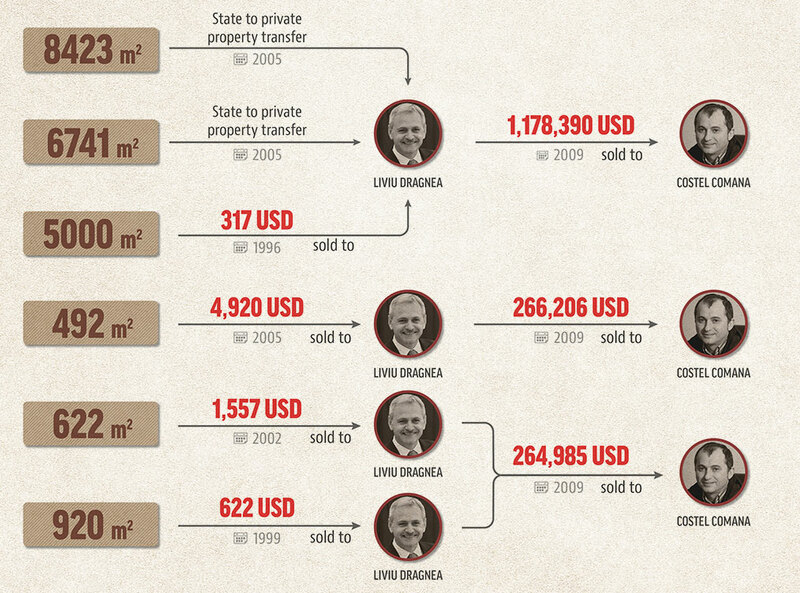 Beginning in 2010, Dragnea started spending his holidays in the Cumbuco villa that Gheorghiaș had purchased in Brazil. Reporters for OCCRP found out that between 2010 and 2011, Gheorghiaș is registered as transferring money to Brazil at least six times, according to the country’s central bank database. Dragnea repeatedly refused to answer RISE’s questions about Comana, the property in Cumbuco, the holidays he spent there or about Gheorghiaș and Tel Drum. He did say, however, that he had been vacationing in Brazil for the past 11 years and that he’ll keep on doing so. When RISE reporters tried to approach Gheorghiaș at his address in Romania, they were chased away by bodyguards riding in a Tel Drum car. Calls, emails and messages via third parties went unanswered. Another prominent Romanian politician who vacationed in Cumbuco is Radu Mazăre, 48, the former mayor of one of Romania’s largest cities, Constanța. Mazăre, too, is a prominent PSD member and has his own corruption-related legal problems. He is charged by Rmanian prosecutors in an ongoing case with taking bribes in connection with developing real estate at the Black Sea. Dragnea and Mazăre are good friends, and the former mayor told RISE Project that he once met Dragnea at a restaurant in Fortaleza, Brazil: “There were some women with us… We talked about women and politics. I also talked about sport.” Locals in Cumbuco recognized Mazăre when shown his photo and said he had visited numerous times. After Comana’s suicide in February 2015, Cauby Campos Junior, the Brazilian partner of both Comana and Gheorghiaș, made a few changes in Comana’s companies. Aysla Campos. Photo: InstagramHe took over Comana’s shares in Robra Ltda., the company that Comana used to buy a luxury condominium in Cumbuco and he also introduced his wife, Aysla Campos, as a minority shareholder in the company. In 2016 and 2017, Campos Junior tried to sell Comana’s condominium and tried to rent Gheorghiaș’ villa. It seems that these moves angered the other Romanians who, according to local sources who prefer to remain anonymous, restricted his access to Casa Grande. Relationships between the Campos family and the Romanian group have not always been tense. According to the same local sources, the Brazilians visited Romania on a few occasions and were treated very well. They bragged back home about using a helicopter to get around in the Eastern European country. 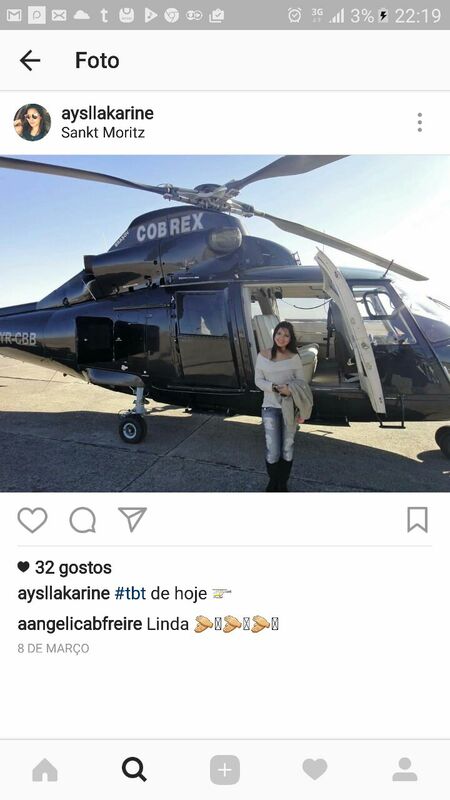 Reporters identified a photo on Aysla Campos’ Instagram account where she poses next to a black helicopter registered to a Romanian company called Cobrex. This same helicopter and company was used by Dragnea and other leaders of the ruling PSD party in campaigns and other political trips in the past few years. 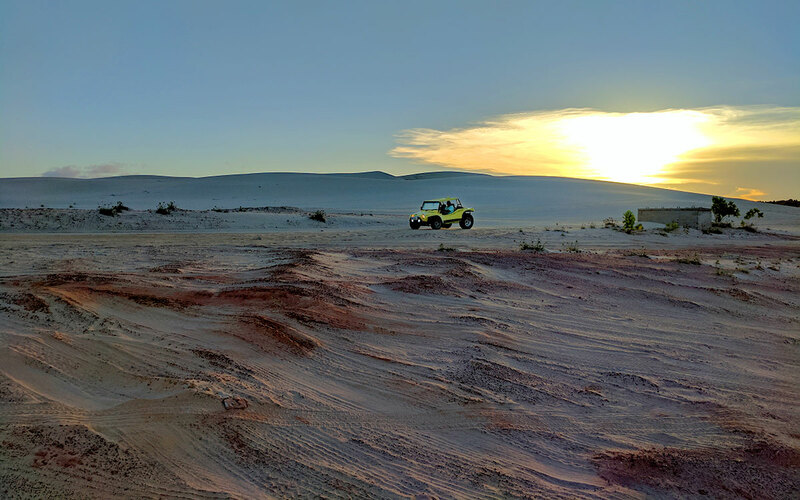 Reporters for OCCRP have also seen one payment made by Tel Drum to Cobrex but nothing to indicate it is related to the transportation of the Brazilians. 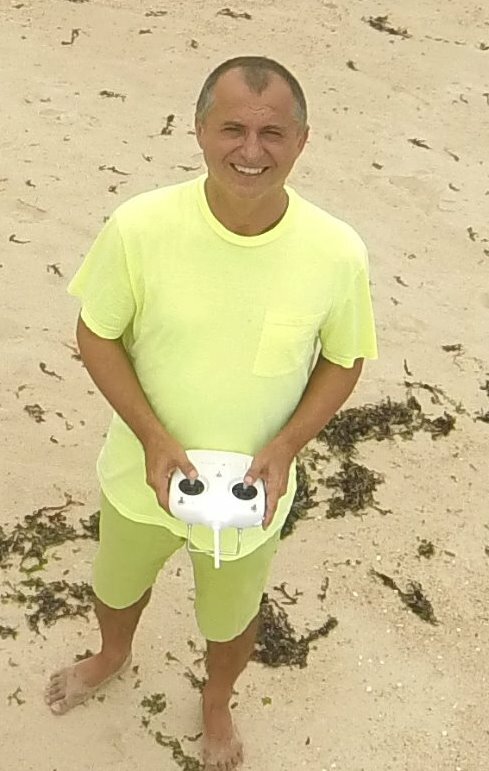 In the meantime, back in Cumbuco, Comana’s friend, kitesurfing instructor Paulo Alberto, still can’t understand why his life-loving friend committed suicide. Alberto first met Comana in Casa Grande when he was asked to teach him kitesurfing and they became good friends. He does recall that, right before leaving for Costa Rica, Comana was acting strangely. “He was thinking too much,” Alberto said.